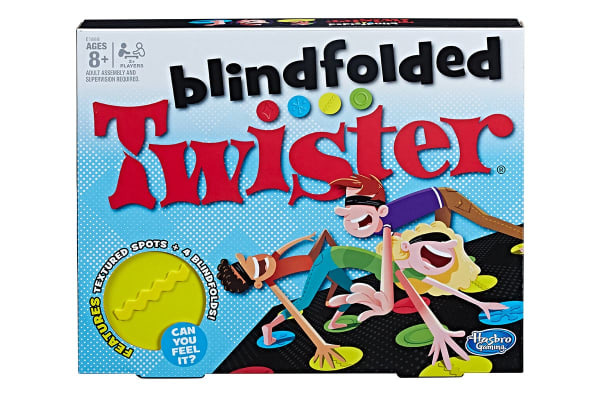 In the Hasbro Twister Blindfolded, players still move to spots on the mat, but now they do it wearing blindfolds and play completely by touch and memory. 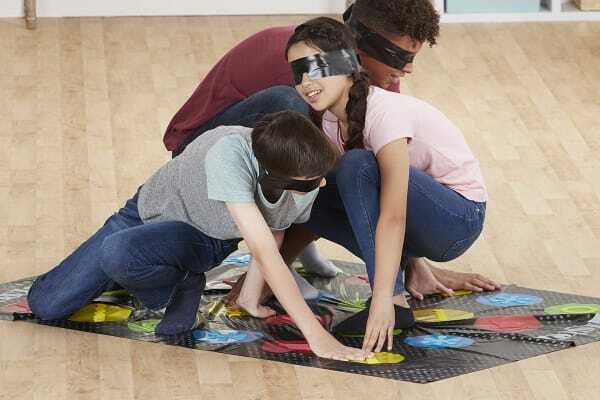 The Hasbro Twister Blindfolded features blindfolds and textured shapes for a touch of mystery and loads of fun! 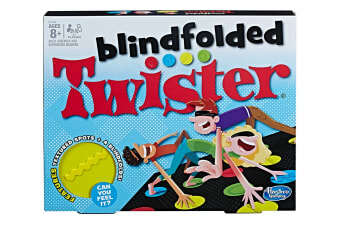 The player chosen as the Spinner calls out the moves on the game spinner and then the players wearing blindfolds feel around the textured shapes with their hands and feet to move around the mat. 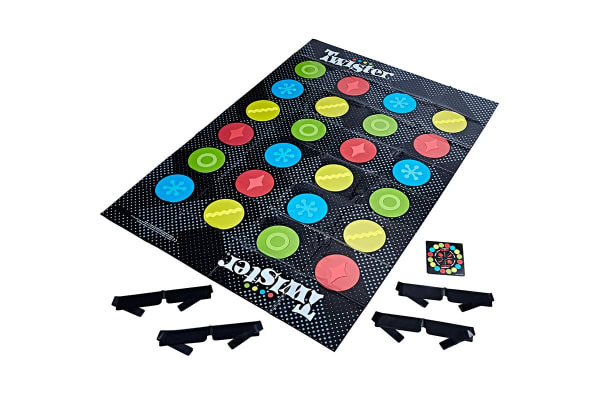 Get ready for loads of laughs whether playing the game or just watching! It’s hilarious to see how players can end up in some really funny and awkward positions. Who will be the last player standing to win?